Whether you're a veteran skier who wants to switch things up a bit or you're new to the slopes and want to start off slow, Copper Mountain snowbiking outfitters in the area will provide you with an exciting experience that fits your needs. 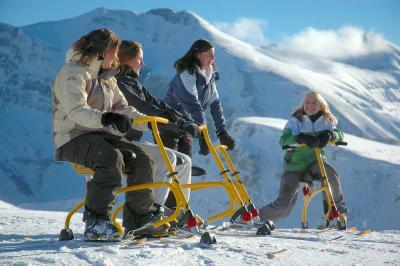 There is no age limit for snowbiking, however, a child must be big enough to carry their snowbike on the lifts. Learn in the morning, enjoy the mountain in the afternoon. No prior snow sport experience required!